Divorce has often been called one of the most stressful life events a person can experience. Questions about division of property, child custody, and alimony must often be answered either inside or outside of court. A skilled divorce lawyer can help couples reach a resolution that is best for their children, their families, and their well-being. However, when international questions arise, divorce can become increasingly more complicated. Individuals come to America from around the world. Whether you are a first-generation American, a recent Russian immigrant, or are a citizen with deep Russian ties, Russian divorce in Queens, Brooklyn, and Staten Island can bring up some unique challenges for you and your loved ones. For instance, individuals who are seeking Russian divorce may have concerns about international property, or questions about who keeps custody of the children, particularly if one spouse intends to return to Russia. In some cases, Russian divorce doesn’t just involve New York divorce law, but involves concerns relating to international law. Families trying to resolve these issues may not always know where to turn and may not be well-versed in the complexity of the law in order to make the best decisions that will be recognized by the courts. 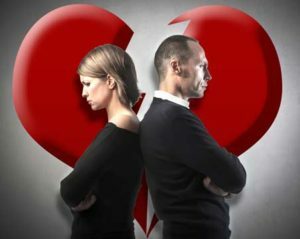 For this reason, couples seeking Russian divorce in Queens, Brooklyn, and Staten Island need a skilled and experienced divorce lawyer. Elliot Green Law Offices in Brooklyn, Queens, and Staten Island work diligently to ensure that couples receive the best possible resolution to their family law case. Income and property of each spouse. Need of custodial parent to occupy the marriage home. Pension, health insurance, and inheritance lost as a result of the divorce. Amount each spouse contributed to the household and ways in which each spouse contributed. Tax consequences of divorce on each spouse. Use of marital assets—were they mishandled? Embezzlement of marital property in anticipation of divorce. Any other factor that the court considers reasonable. While many of these concerns can often be addressed in a straightforward manner, some of these factors can be highly complex in the case of Russian divorce. For instance, if income or property is held or obtained in Russia, property division will often become more complex. Value of businesses, if they are international in nature, may require special attention. International tax consequences are often more complicated than local Queens, Brooklyn, or Staten Island tax matters. Embezzlement may also be of greater concern, particularly if there is suspicion that a partner is moving assets abroad to protect these assets from divorce and equitable division of property. Couples who are seeking divorce in Queens, Brooklyn, and Staten Island should note that equitable distribution of property does not always mean equal. The courts take a look at each of the thirteen factors to determine how property should be divided. Each partner’s ability to continue to maintain himself or herself following the divorce will be considered when property is divided, particularly if one partner stayed home to care for children or worked to help the partner go to school. In these cases, the non-working partner may be entitled to more marital property in order to ensure that the spouse can establish himself or herself following the divorce. Division of marital property in divorce is subject to many factors. A skilled and experienced Russian divorce lawyer can review all relevant aspects of your case and help you get the best possible outcome, either through an out-of-court agreement or through litigation. Elliot Green Law Offices offer compassionate representation to individuals getting divorced in Brooklyn, Queens, and Staten Island, New York. Child custody is one of the most emotionally challenging questions that arises in divorce. While division of property and money can often be resolved, children cannot be divided, and decisions must be made about where the children will live, how they will visit the non-custodial parent, and how much money will be paid in child support. When one parent decides to move away from the U.S., concerns about child custody become all the more crucial. For individuals with dual citizenship, finding an experienced lawyer who understands Russian divorce law is important. For instance, individuals may wonder whether a divorce obtained abroad will be recognized in the U.S. Where one gets divorced can have a huge effect on spousal rights. If you are facing Russian divorce, you need an experienced divorce attorney on your side to make sure that you receive the best possible outcome for you and your children. International custody questions are often extremely complicated. If you’re getting divorced in Brooklyn, Queens, or Staten Island, New York, the protection of your children and family is foremost on your mind. The Elliot Green Law Offices provides individuals with aggressive litigation to protect the rights of children and families. Russian divorce involves a range of sensitive cultural and financial concerns. You need an experienced lawyer who understands the unique challenges you are facing and who can help you navigate the legal system to ensure you and your loved ones the best possible outcome. When the future of your family is at stake, you need the compassion and experience of the Elliot Green Law Offices in Brooklyn, Queens, and Staten Island, New York.